From multi-monitor support to a rich MR/VR experience and even to intensive gaming, the ThinkPad X1 Extreme handles demanding computing tasks without a hitch. This ultralight powerhouse also boasts the option of a 4K touchscreen display with Dolby Vision®-and optional pen support. We've taken ThinkPad to the extreme! 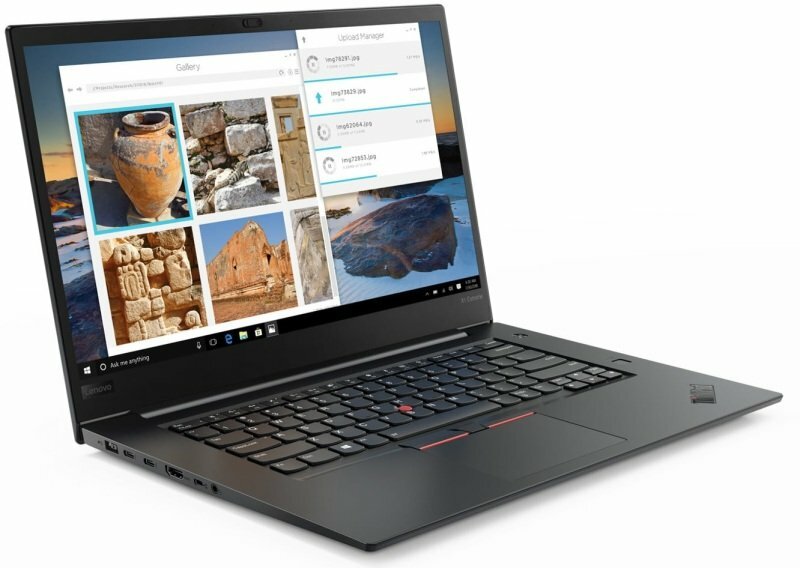 Employees appreciate the lightweight portability and heavyweight performance, while IT admins love it for the ThinkPad name and all that engenders-robust security and privacy features, trusted reliability, and craftsmanship renowned throughout the world. Global service options keep you protected, while built-in features like Glance eye-tracking and rapid-charge technology boost productivity levels. Choose the low-weight non-touch option with the FHD display on your X1 Extreme. Or go with dramatic Dolby Vision™ HDR (high-dynamic-range) technology, which features a 4K touchscreen with 100% colour gamut. You'll enjoy increased brightness, expanded contrast, amazingly accurate colours, and refined detail. With Intel® H Series 6-core processors and NVIDIA® GeForce® graphics, the X1 Extreme delivers accelerated performance for any job. It's plug-and-play ready for the leading VR/MR headsets, including Oculus Rift. Whether you're creating content, gaming, traveling the world from your armchair, or streaming videos, you can do it all without lag time. Add a pen into the mix on touchscreen models for sketching, annotating, signing, creating-all of which make working on this X1 Extreme even more fun!